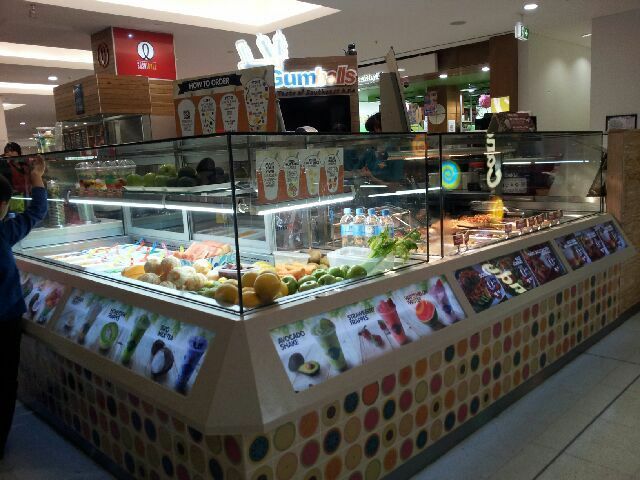 Gumballs is a newly open conveniently located takeaway shop in the heart of World Square. 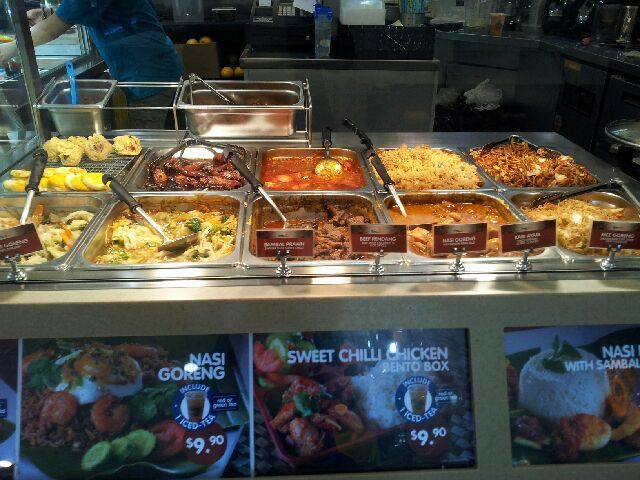 The cuisine duplicates the taste of South East Asia. 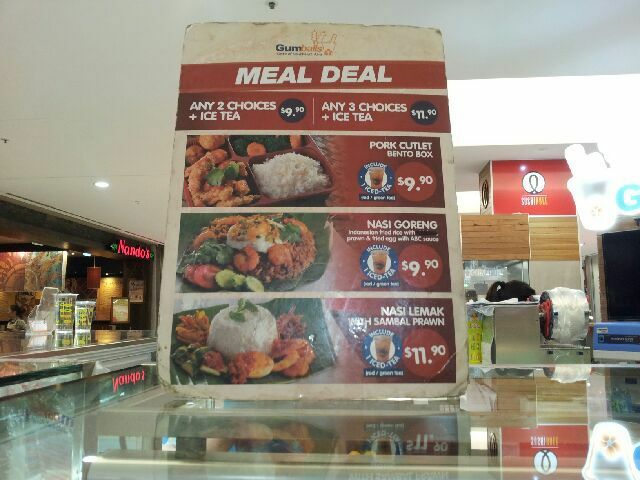 It hosts a range of meal options, including a meal deal, befitting of a lunch break that doesn't hurt the bank. The best part is that you are the boss of what you eat as the home-made styled meals are hand-picked by you. 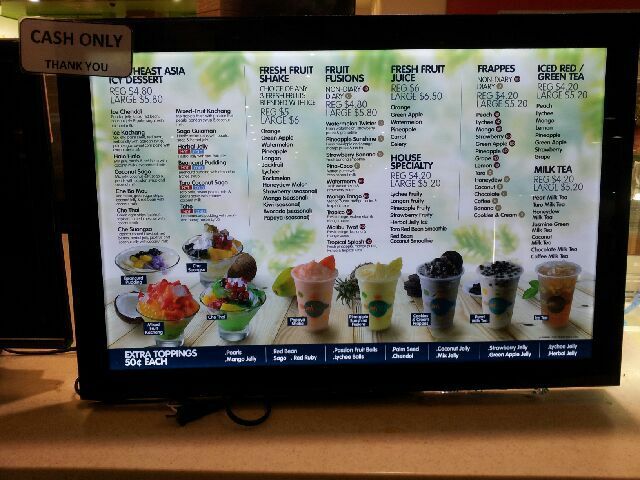 Occupying a small counter space near Coles, it displays good Asian food, drinks and desserts. 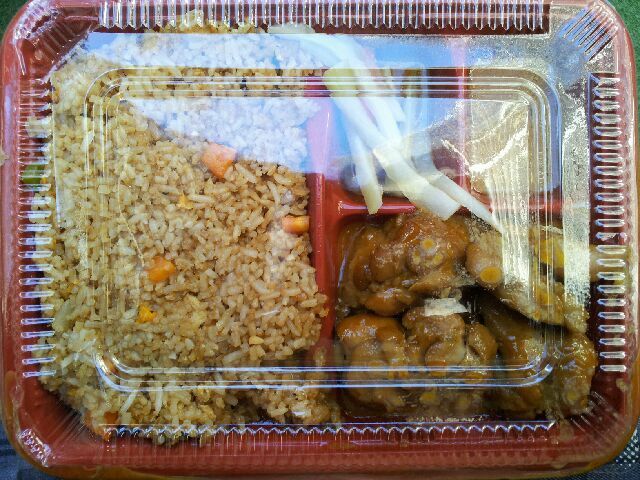 The mains takeaway is organized into a bento box. 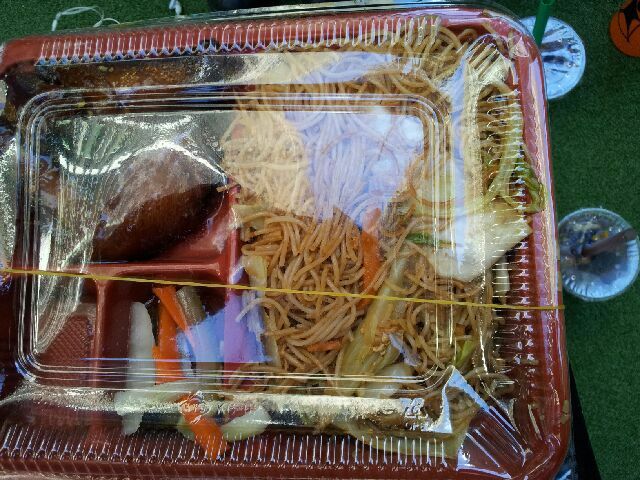 My meal consisted of fried rice, curry chicken and a few strands of carrot and what I think may have been choco. Being a bit of a health fanatic, the downside was the lack of healthy green vegetables to accompany the heavy meat-based meal. But once in a lifetime, a meal like this wouldn't kill. Hopefully. My friend opted for Singapore vermicelli with sweet and sour chicken. We smartly retrieved an opening offer from Scoopon and so it was at a discounted rate of only $6 but prices are also relatively cheap. I was also, as part of the Scoopon deal which resembles the meal deal, given an ice tea as pictured above. I must admit, though, that I was quite confused. 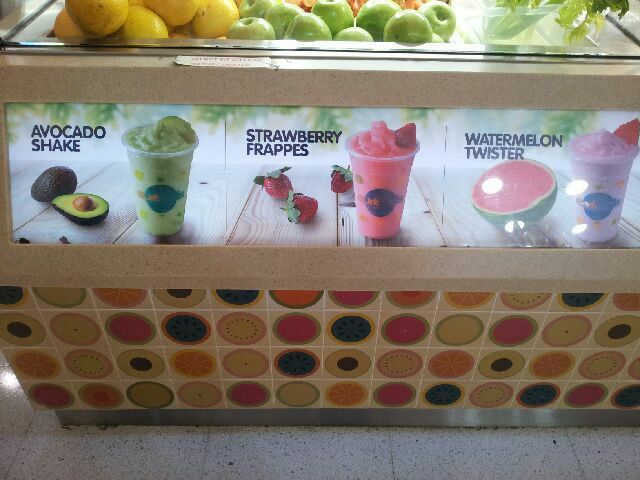 For me personally, it tasted a bit like cordial but lacking of the strong sugary flavour. I was rendered indifferent by the ice tea. On finishing my meal and the drink, I wanted to try their renowned dessert options. I was quite full, by this stage, though, so my friend and I shared a Che Suongsa after very long consideration. 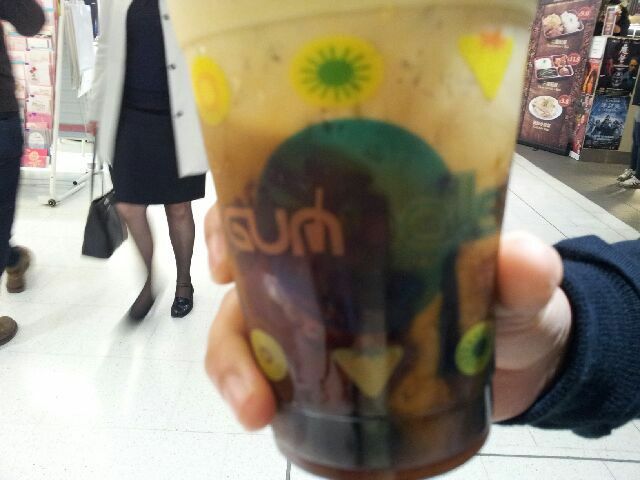 It had herbal and rainbow jelly mixed well with coconut milk. 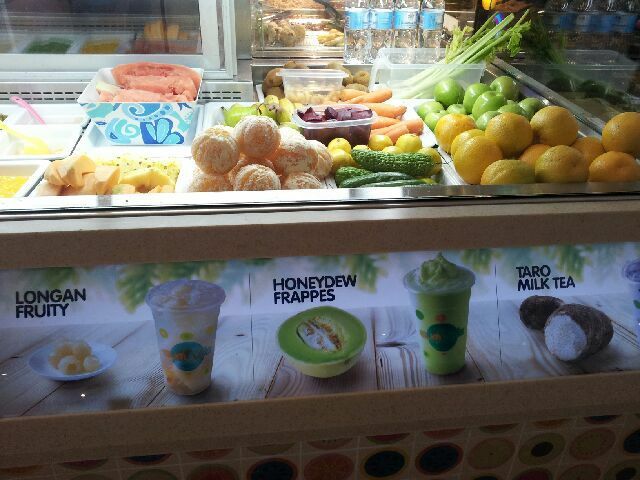 I looked at other drinks and desserts displayed on the counter vowing to return to try the honeydew frappe. I wished to leave my crazed photography to the side. But this was before eyeing more mouth-watering foods and drinks. I just had to take more photos. I think I may have been getting suspicious glances but the staff was friendly enough not to warn me or tell me to stop so here goes. 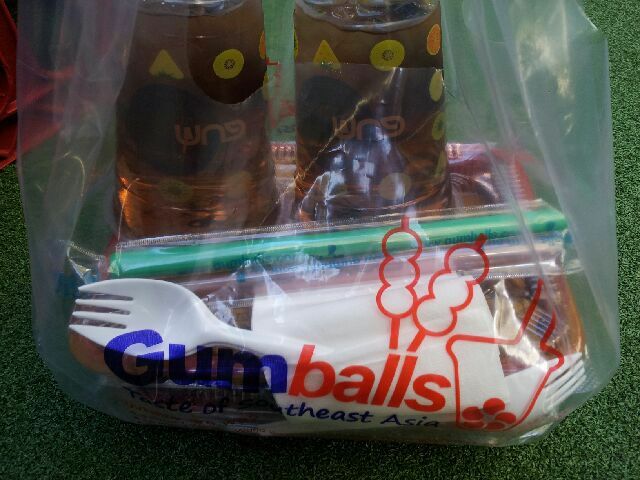 World Square is not short of Asian cuisines as such but Gumballs is worth a second look if you happen to briskly brush past World Square. For more information and other locations, click here.